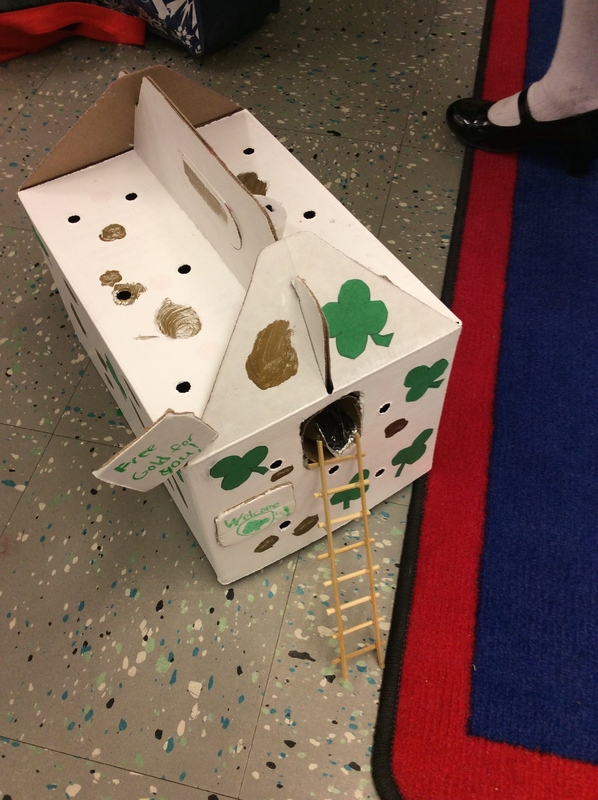 St. Patrick’s Day was celebrated today in my 1st grade classroom and the students got extraordinarily creative when we asked them to create traps in hopes to capture a mischievous leprechaun. It was great to see how they used household items to build something that they designed. 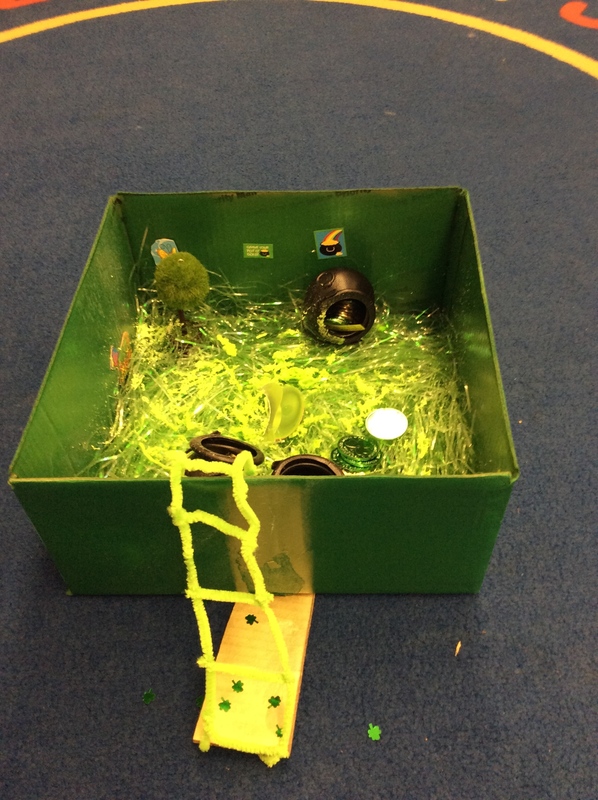 After building their traps they each had the chance to explain the process to the class. 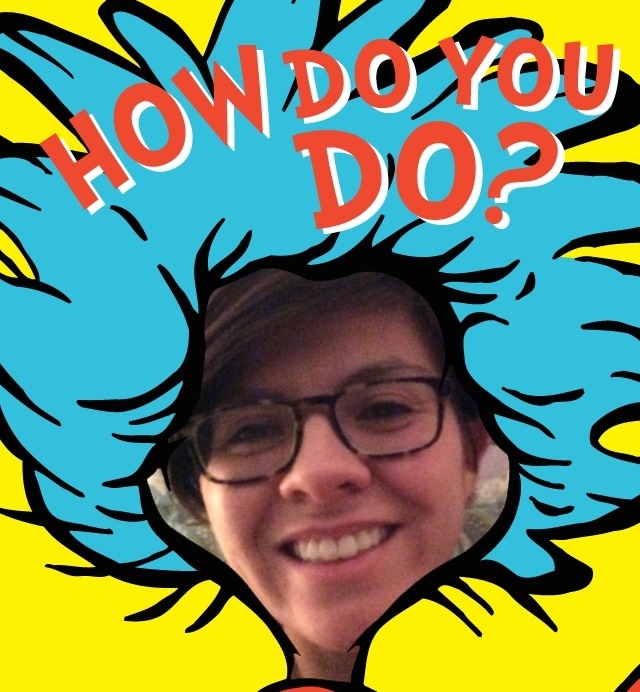 We all offered compliments and questions. It was really fun to take the time to have them explain their thought processes in making something that they felt so proud of. Afterwards we set the traps in hopes that they would catch a leprechaun on St. Patrick’s Day Eve. Below are just some examples of the creativity that was celebrated. 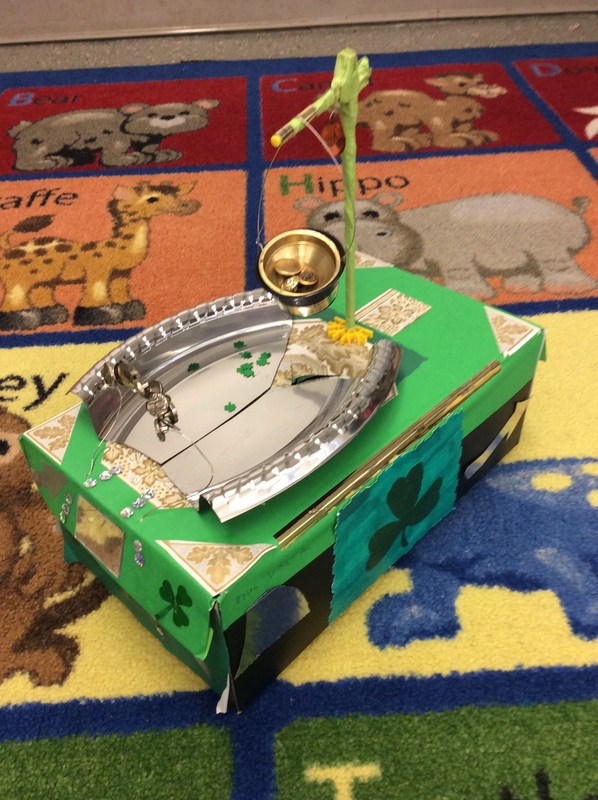 This student used mirrors and shiny items to lure the leprechaun into his trap. All this leprechaun has to do is climb up the ladder to find his gold. No leprechaun can resist the temptation of Skittles! Inviting messages will surely capture this little leprechaun! 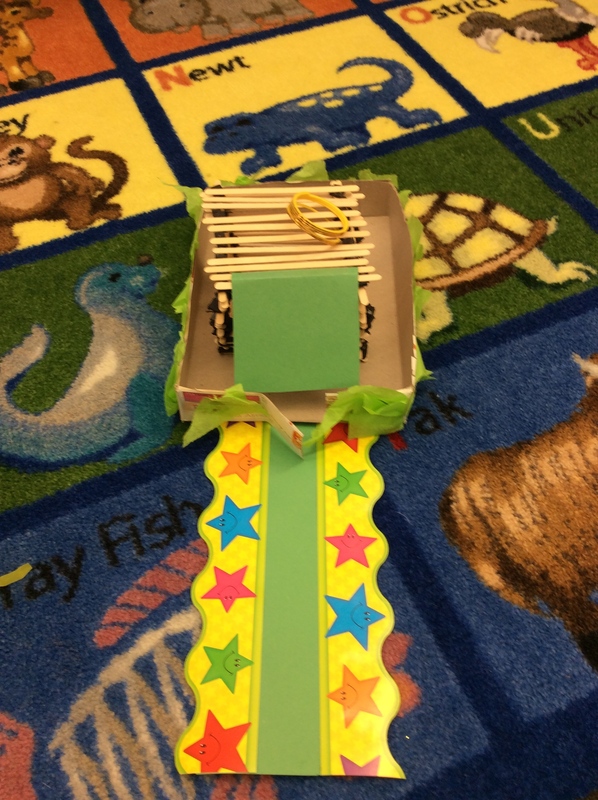 Popsicle sticks were cleverly used to devise this trap. 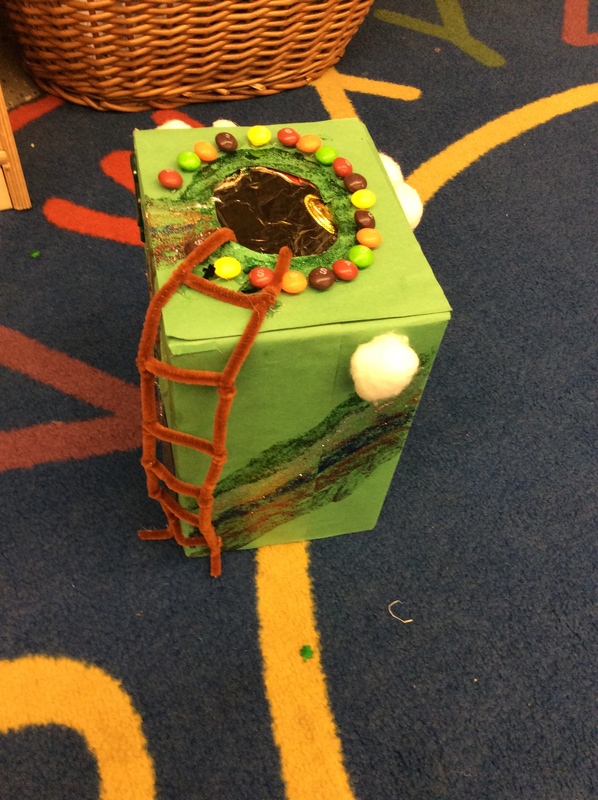 A colorful rainbow path leads this leprechaun into a trap! 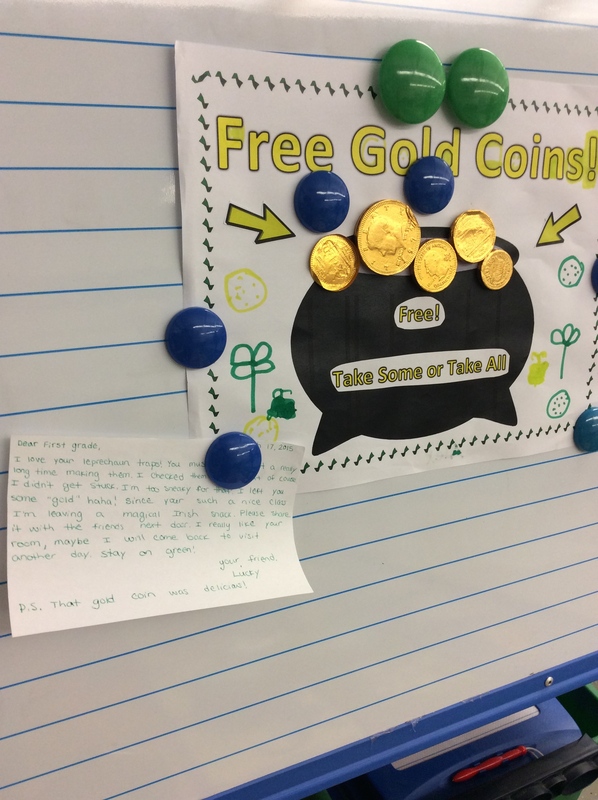 Unfortunately those leprechauns were too sneaky to be fooled by our traps, but they were kind enough to leave behind a small note and a chocolate treat for everyone. 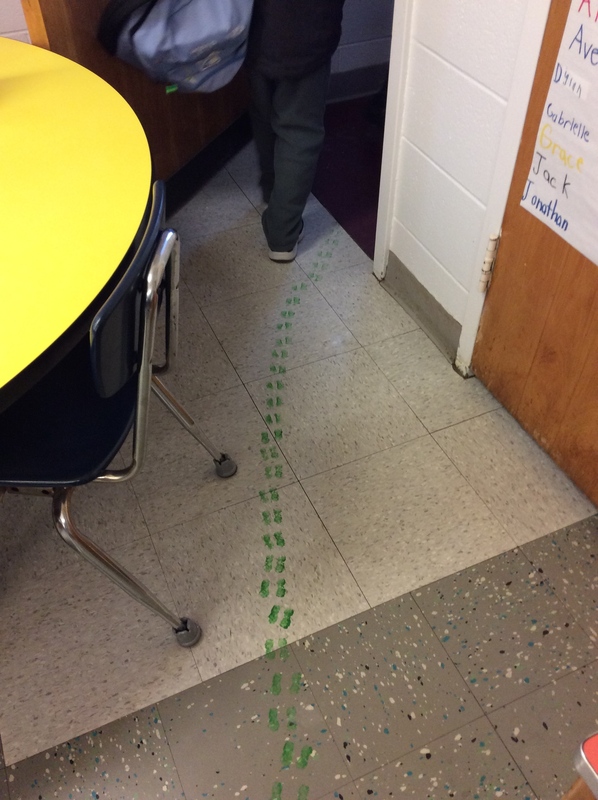 Although he did leave behind a small mess… Classroom celebrations are great opportunities for students to demonstrate their creativity and imagination. 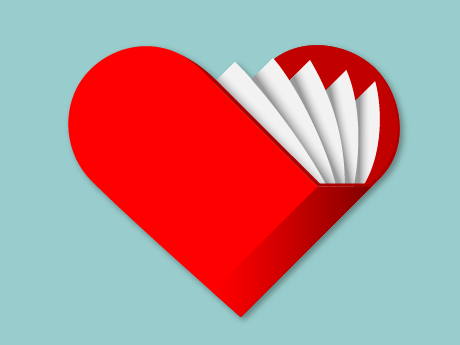 Let’s continue to foster those skills that captivate the eyes, mind, and heart of others. 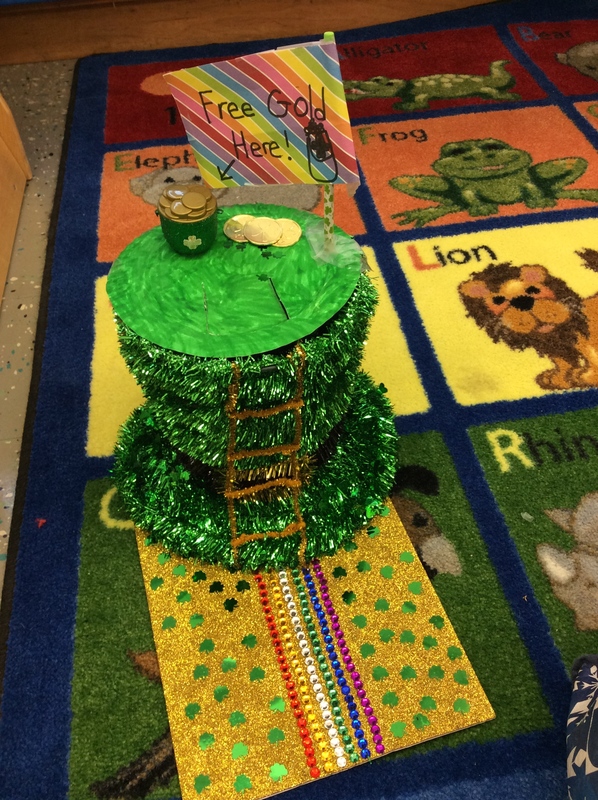 Disclaimer: No leprechauns were harmed during this classroom celebration.